What did we do without smart phones? I was on a mission at the grocery store and couldn’t find what I needed for my next culinary adventure…so it required a last minute change. The snow was coming down, and there was no time to go in search of ingredients at other stores. So Pinterest app to the rescue! I found this delicious-looking Roasted Cauliflower Soup and quickly stopped my search and hunted down the few ingredients I needed. Mother Nature in the Midwest is such a tease. Sixty degrees last week snow and freezing rain this week. 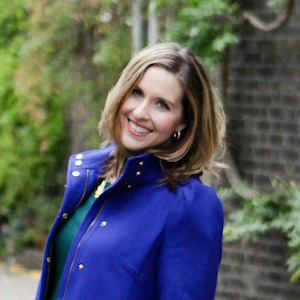 To get myself through what I’m hoping is the end of Winter (pretty please?! ), I knew I wanted something warm and comforting…soup of course! 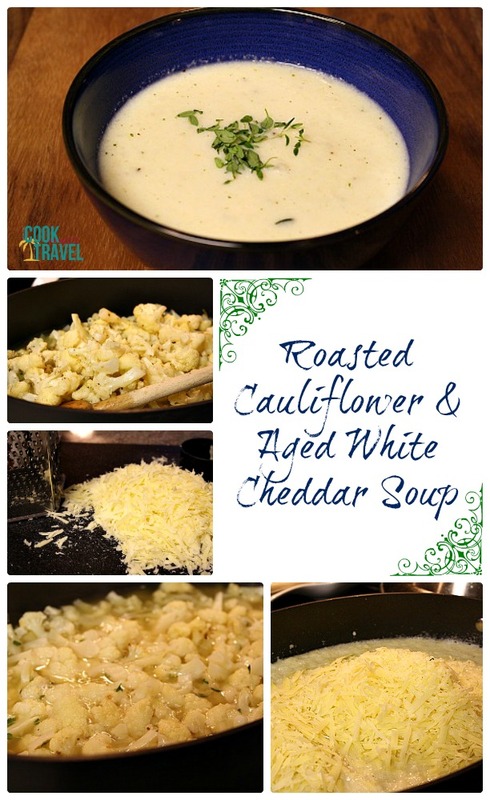 I found this recipe thanks to my Pinterest app while roaming the aisles of the supermarket, and I loved that I only needed some cauliflower, an onion, chicken broth, thyme, and some aged white cheddar cheese. The cheese was easier to find than I thought, which was a pleasant surprise. 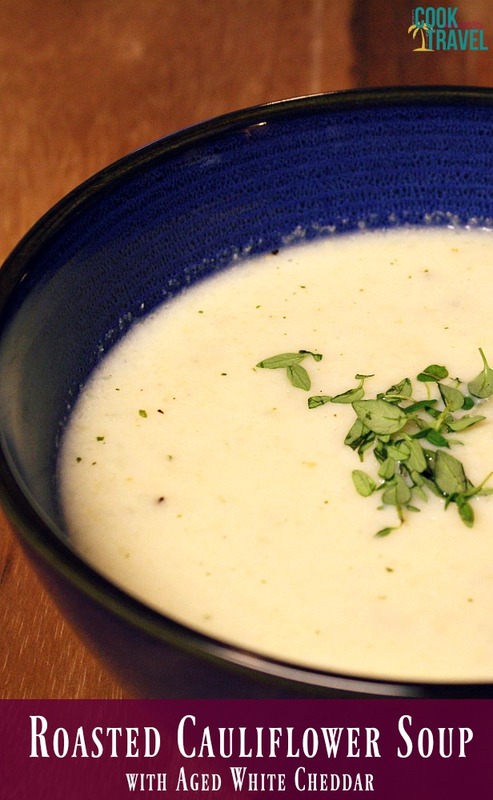 Here’s how this Roasted Cauliflower Soup works. You cut up the cauliflower and roast it in the oven…I could have stopped there, but I carried on. After sautéing some onions, garlic, and fresh thyme, I added the roasted cauliflower and chicken broth and brought it to a boil. Then it simmered away. Once it was simmered I pureed the soup, added the cheese and some milk and voila…dinner was served! I really loved this soup. It reminded me of potato soup a bit, and the leftovers heated up extremely well. So freaking yummy!! I did need a few kitchen tools, which I highly recommend. First off, for the thousandth time, I highlight the Silpat. It’s so great for roasting veggies and made it easy to transfer the cauliflower to the soup without making a mess. Second, a box grater with several different sides gives you great options for how to shred cheese. Third, my boat motor or hand blender is fabulous when you’re pureeing a soup or making a creamy sauce. So now it’s time to make this easy and yummy soup for you and your family. 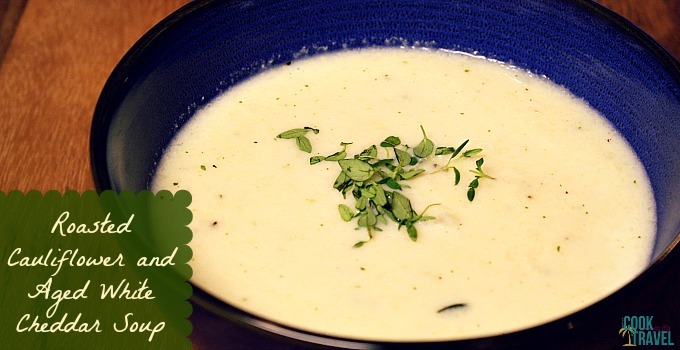 Click here for the Roasted Cauliflower Soup recipe and step by step instructions. Two years ago: Look at Me…I Made Pasta…from Scratch!